We have had many years experience in cleaning patios as well as other hard floor areas. 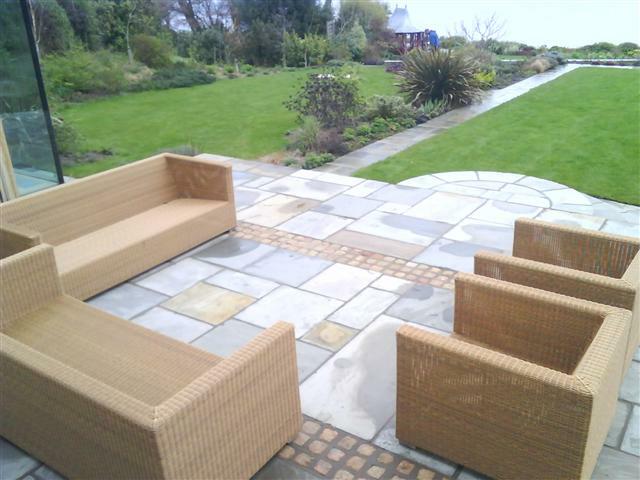 Whether you would like your patios cleaned before the Spring and Summer months, or if you would like your slippery patios and paths cleaned in the Autumn and Winter months, we can help you out. 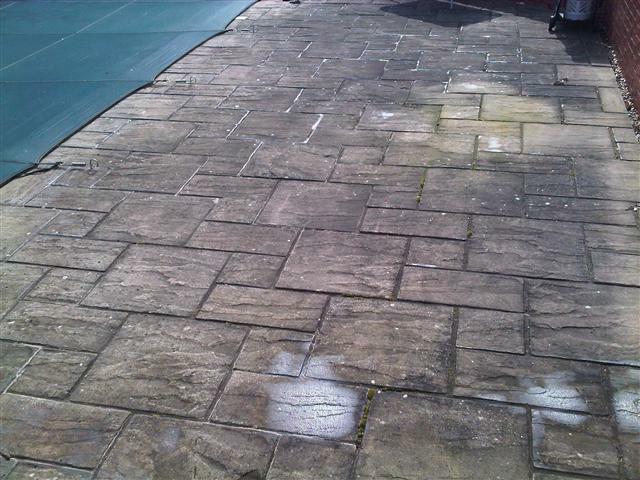 As we use professional pressure washers to clean your paving slabs we also remove the weeds and moss whilst cleaning. 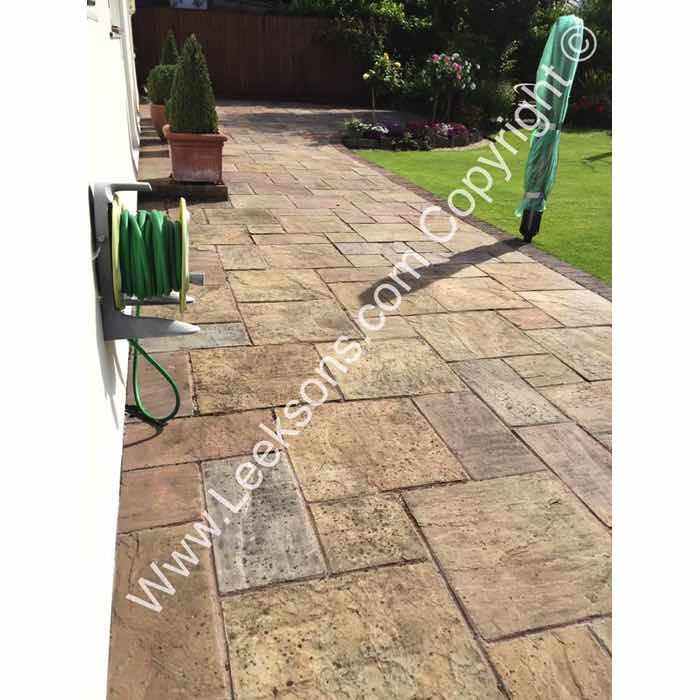 We also treat the slabs with a chemical that kills the algae and the spores to remove lichen spots and leaveyour patio in ‘as new’ condition. How do you remove spot spots of Indian sandstone? 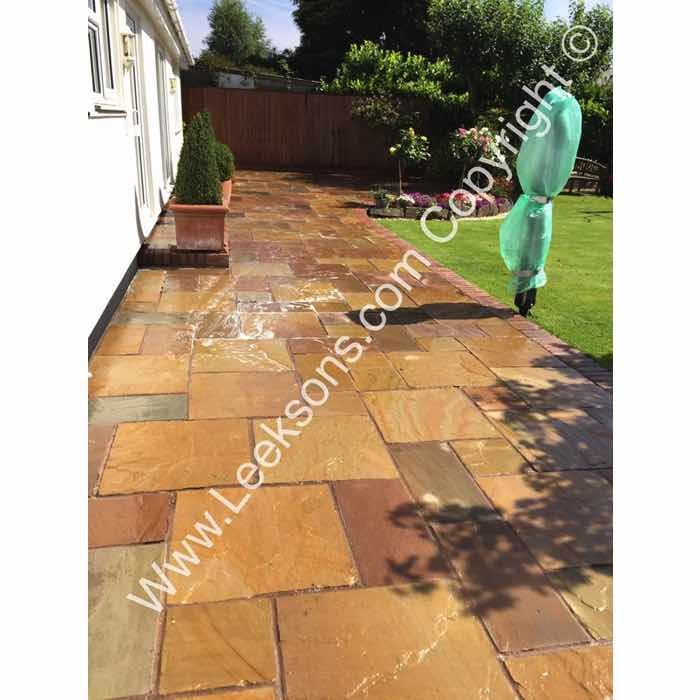 We chemically treat Indian sandstone to remove the black spots that can not be removed with pressure washing. 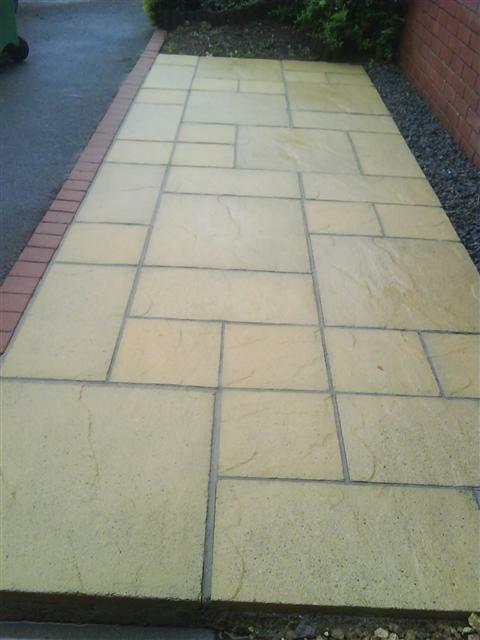 We also steam clean Indian sandstone to achieve the best possible results without risk of damage to the stone or pointing. 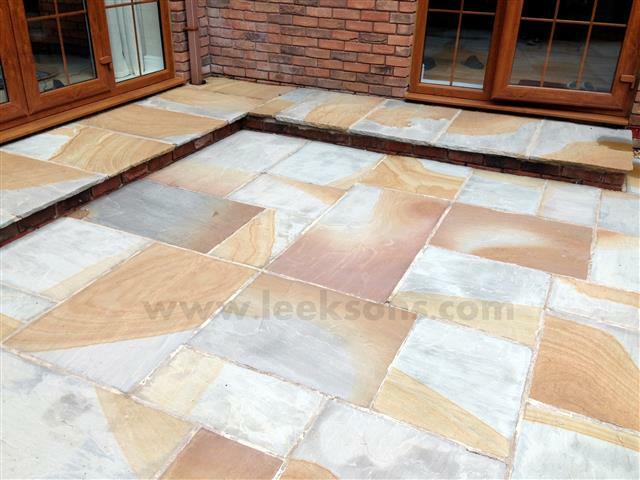 The patio shown below was carried out on Old St. Mellons, Cardiff. The large patio area was very dirty, and the was a large build up of moss in between the slabs. We removed all the patio furniture, pots, etc from the patio and pressure washed the slabbed area. 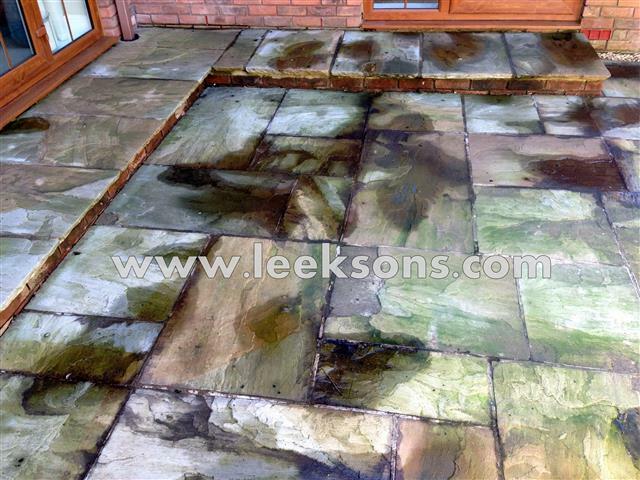 The owner forgot what the original colour of the slabs were like! He was over the moon! 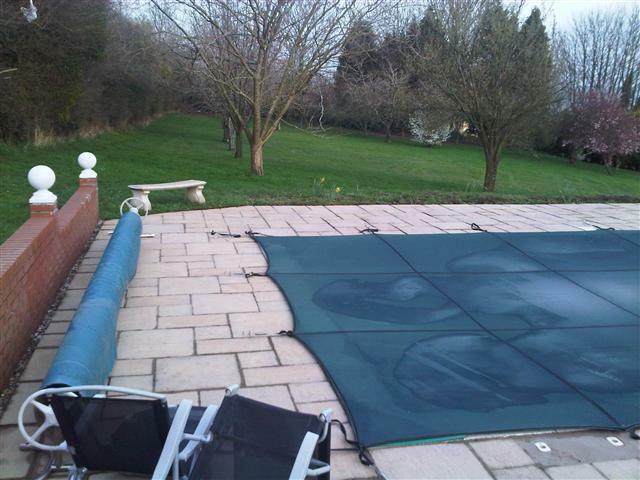 The patio area below around an out-door swimming pool had become dirty which made the whole area look dirty. The owner of the property asked us to clean the dirty patio area. He was so impressed with the work he asked us to clean his block paved courtyard as well as the fascias, gutters, soffits, windows and window frames on his house. 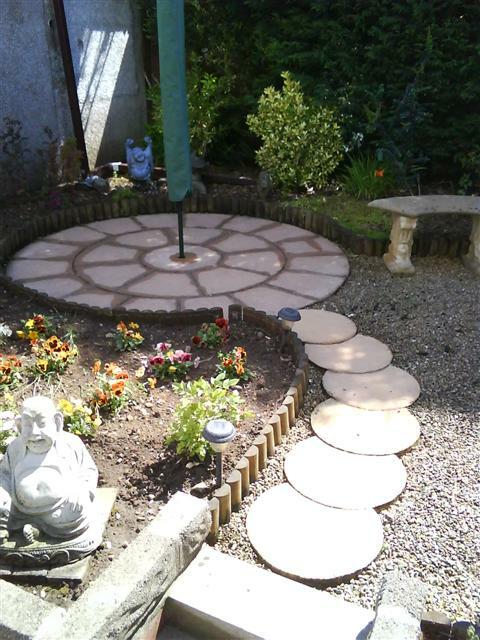 The patio shown below is a job for a regular customer of ours. 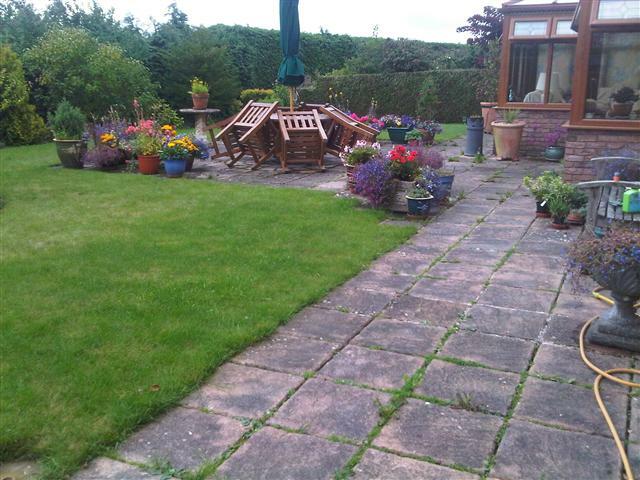 The owner of this property owns several houses and we have cleaned all her properties on several occasions. 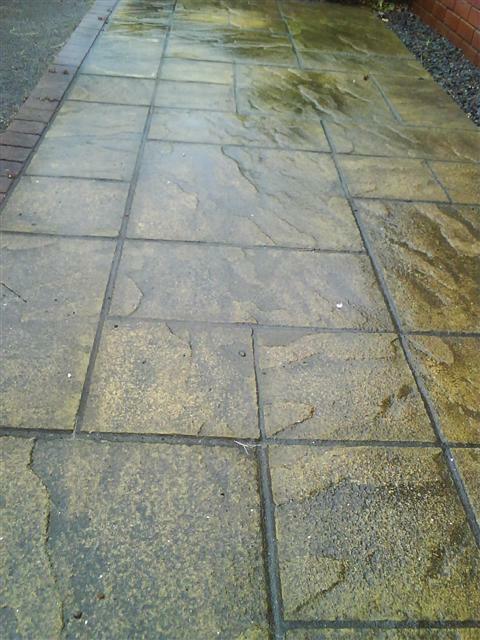 We cleaned the patio areas at the front and back of the property as well as cleaning the fascias and gutters. The owner was very pleased with the results. The patio below was in a very bad state. Algae had grown on over it and it was very dirty and slippery due to years without cleaning. 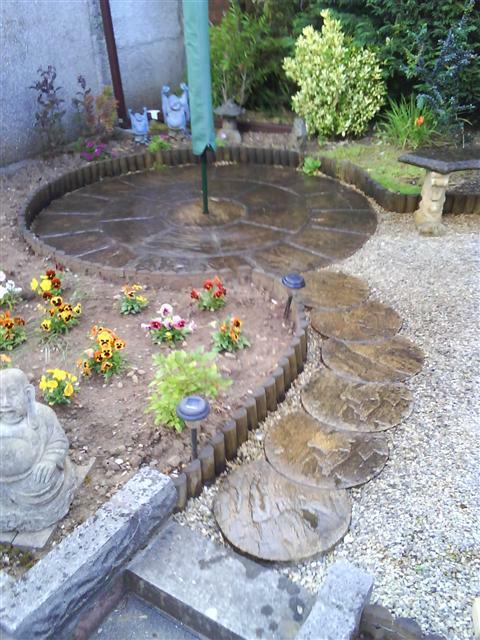 We cleaned the area which transformed the look of the garden. The owner of the property was very happy with the results that were achieved and has asked us to clean their front driveway and other areas. The patio below was cleaned as part a a larger job. We also clean the driveway at the front as well as another patio area. The before picture shows the dirty patio that looks old and tired. The after picture shows the area after it had been cleaned. Although not completely dry at the time of the photo, the difference is amazing! We also cleaned the stone bench shown on the right hand side of the photo. 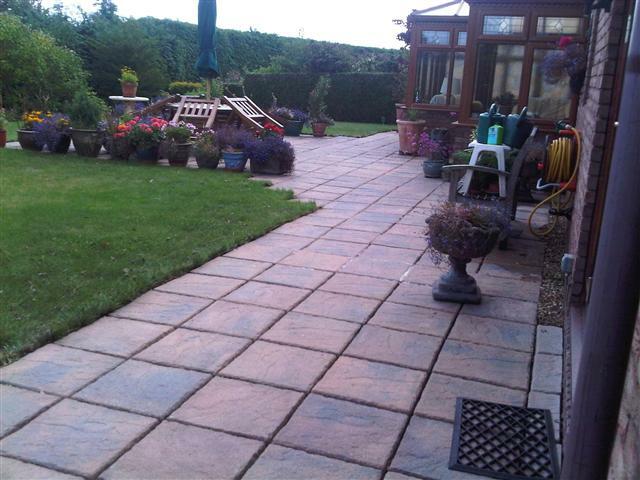 The owner was very happy with the look of her patio and commented that it looked like new again!